All rooms of the hostel are equipped with air conditioning. In the general bathrooms there is a shower. At the disposal of guests there is a fully equipped common kitchen with the refrigerator, cutlery and pottery, the microwave oven, a teapot and all necessary. A common lounge with TV, and also a free laundry. With linens and towles we also provide disposable room slippers. Upon request it is possible to get disposable sets of cosmetics: shaving, tooth, shower gel, shampoo and other means of hygiene. We are a 5-minute walk from Red Square. Approximate distance from 500 meters underground. Entrance from the street Tverskaya 6 in the center of the building go through the arch, inside the courtyard turn to the left and pass through another arch. On the right side of the porch in front of us on the intercom number 23 (near dentistry) recruit 300K1515 and open. We go up to the 5th floor, apartment 291. You should go till Pushkinskaya or Tverskaya (thst is the same) metro station (Пушкинская). 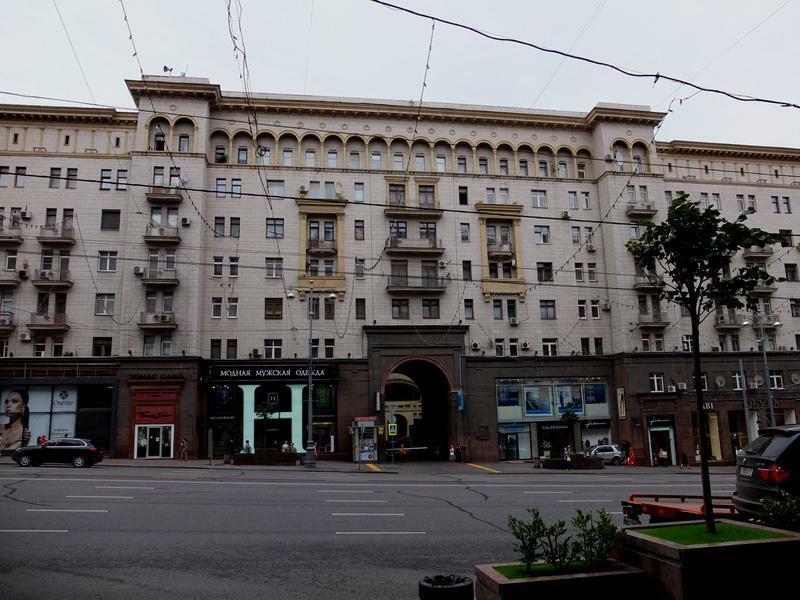 You should find the exit to Tverskaya Street. Then choose the side of the street with even numbers and go in derection of the Kremlin. Continue this way untill Calzedonia shop - you will see the arch before it, go into this arch and then turn to the left. On the right side of the porch in front of us on the intercom number 23 (near dentistry) recruit 300K1515 and open. We go up to the 5th floor, apartment 291. How to reach us from the airports? • By express train – it will take to the centre of the city. Then you will have to use subway (several stations) or a car to reach the very hostel. You can buy tickets on-line on site http://www.aeroexpress.ru or just after landing. • By minibus (they are available from all the airports and don’t need booking, but usually they take passengers only to the nearest subway stations, which are not in the centre of the city).t.